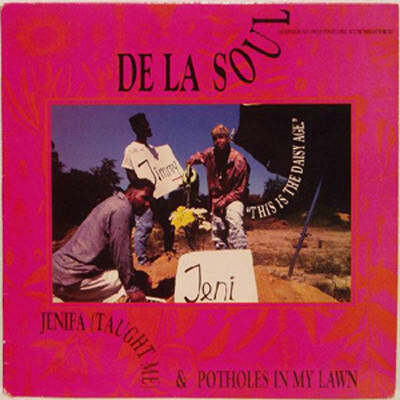 Cooking Cymande, War, Parliament, and Melvin Bliss samples in the same pot was crazy enough in 1989, but on "Potholes in My Lawn," De La also deliver some of their most cryptic verses. Is the song about plagiarism, the threat of downward mobility, or landscaping? The meanings and implications of the lyrics will be debated for years to come-whether or not it is dope against all odds probably won&apos;t be, as it remains one of group&apos;s most beloved songs.